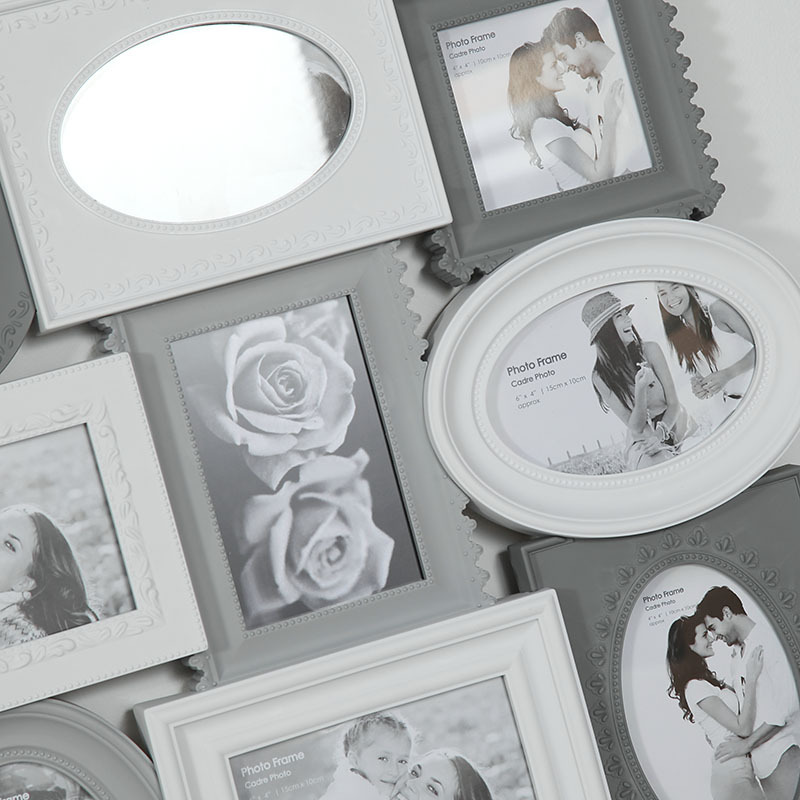 Create an elegant photogrraphic display with this beautiful multi photo frame. Wall mounted design with 9 picture frames. This will make an excellent display or a special gift. Fill with precious photographs and candid snaps, perfect for wedding day, anniversary or birthday moments caught on camera. Nine grey and white frames in oval and rectangle shapes in assorted sizes. Perfect for hanging in the living room or hallway. 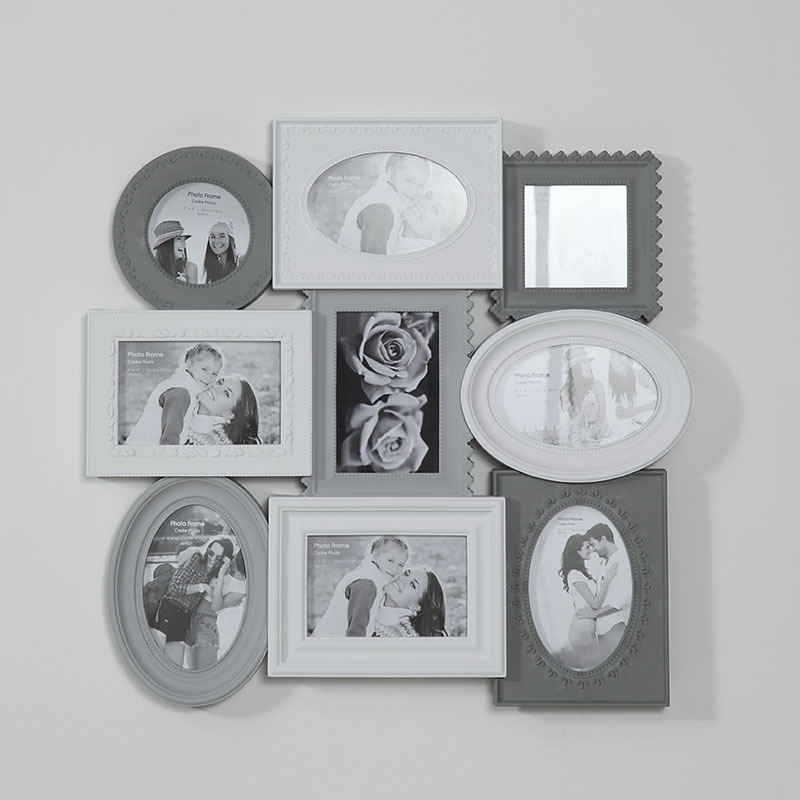 Create an elegant photogrraphic display with this beautiful multi photo frame. Wall mounted design with 9 picture frames. This will make an excellent display or a special gift. Fill with precious photographs and candid snaps, perfect for wedding day, anniversary or birthday moments caught on camera. 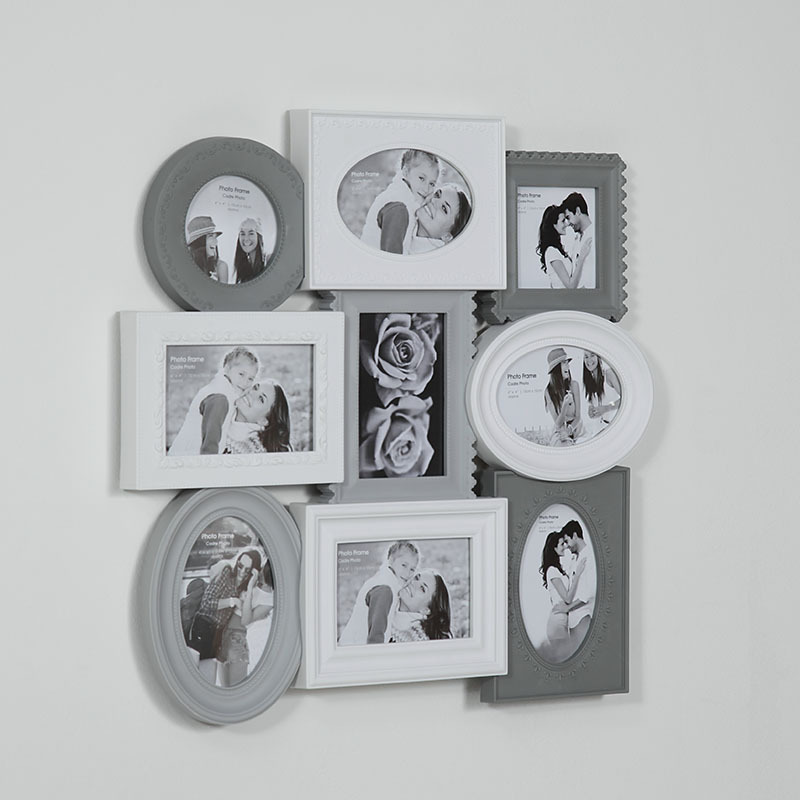 Nine grey and white frames in oval and rectangle shapes in assorted sizes. Perfect for hanging in the living room or hallway. Made from plastic in white and grey. Easily wall mounted with hooks on the back for hanging.